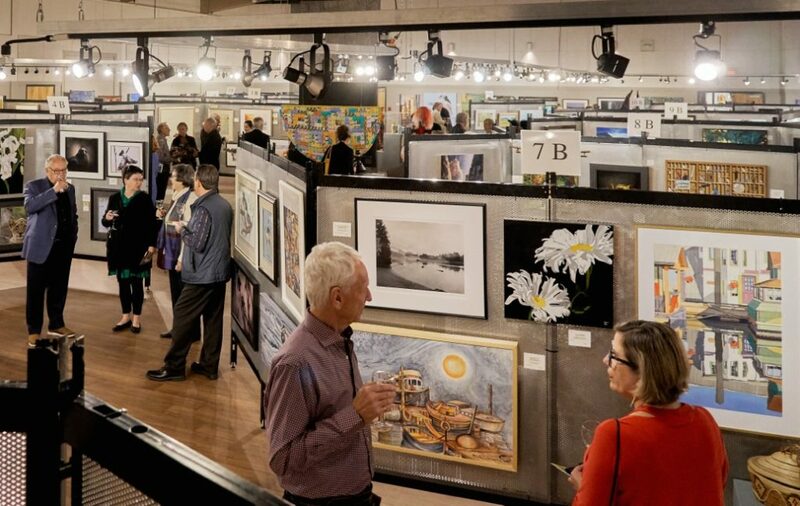 Our Patrons’ generous financial contributions ensure the continued success of the Sidney Fine Art Show. This Show has now grown to be one of the largest and most prestigious art shows on Vancouver Island. It is the premier event in the ArtSea Community Arts Council’s calendar. invited to our exclusive Opening Night Preview Reception at Mary Winspear Centre in Sidney. This is a private catered event for Patrons and invited guests only. the first to view and purchase art before the Show opens to the public. invited to the Awards Presentation in the Charlie White Theatre for an event to honour the arts and our winning artists. supporting the arts on the Saanich Peninsula through the ArtSea Community Arts Council. given Show Passes to share with family and friends. You are invited to our Opening Night Preview Reception. This is a private catered event for Patrons and invited guests only. Be the first to see the Show before it opens to the public. Have the exclusive opportunity to purchase art. You are invited to the Awards Presentation in the Charlie White Theatre to honour the arts and our winning artists. You will receive a tax-deductible receipt for the full amount of your donation. Thank you for supporting the arts on the Saanich Peninsula through the ArtSea Community Arts Council. Complete electronic form, or download the PDF form, fill in and send to Sidney Fine Art Show, PO Box 2221, Sidney, B.C. V8L 3S8. Please mail your cheque to: Sidney Fine Art Show, PO Box 2221, Sidney, B.C. V8L 3S8. Location: Bodine Hall, Mary Winspear Centre, Sidney B.C.